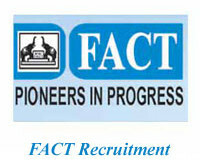 The Fertilizers and Chemicals Travancore (FACT) Limited, Udyogamandal has given a notification for the recruitment of Graduate Apprentice vacancies. Age Limit: Candidates age should not have crossed 25 years as on 01st August 2016. Age relaxation is applicable for SC/ST/OBC & PH candidates as per rules. Educational Qualification: Candidates should possess Engineering Degree in Mechanical, Electrical, Civil, Instrumentation, Chemical and Computer Engineering. Eligibility: A Pass in Engineering Degree in the relevant discipline and should not have completed more than 3 years after passing Degree as on 01st August 2016. The stipend and period of training will be as per Apprentice Act (Period of Training – One Year, Stipend Rs.4984/- per month for Graduate Apprentices. Download detailed Notification for more details.